Taieri Times is recognising people for the good they do in the community. In ‘‘Top Types’’ we are celebrating these people. This week we talk to Doug Boyes. You don't have to be a top points scorer to be a legend at the Taieri Rugby Football Club. Doug Boyes may never have had a player of the day award but he has been an integral part of the club for almost 50 years. 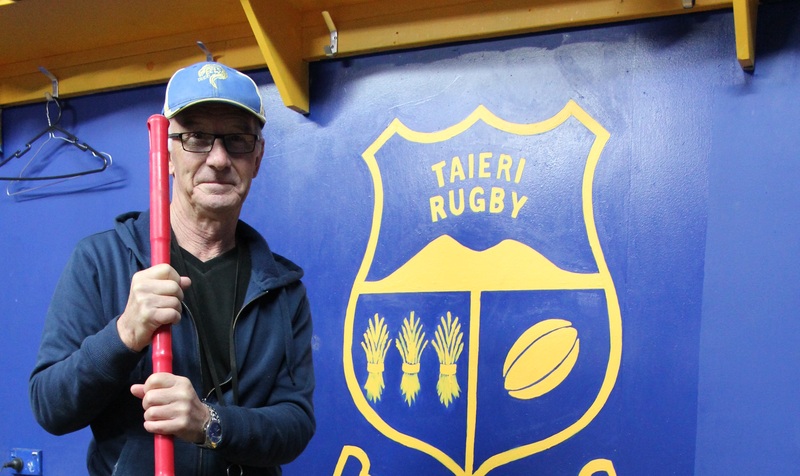 From sweeping changing rooms to setting up the fields on a Saturday morning, there is not much Taieri Rugby club life member Mr Boyes cannot do. Mr Boyes first became involved with the club through coaching, when his son Duane started playing. Since then Mr Boyes has had a number of roles, from coaching, being a committee representative and setting up a touch competition, to his most recent role, groundsman. Although the 71-year-old resigned from being groundsman at the end of last year, there were not many days of the week he was not at the clubrooms. The Taieri rugby club is home to four senior teams and 18 junior teams. Mr Boyes said their clubrooms "are a big complex, there's always something to do to keep the place tidy''. But also, there was the sense of belonging the club gave him and the camaraderie it created. He said when he took on a role, he liked to give it his all. Mr Boyes could not count the number of hours he had spent working at the club but said "with clubs like these, the more you give, the more you get back''. He said being a part of a sports club was a great way to be a part of the community and get to know local people. • If you know of anyone who you think is a "Taieri Top Type'', let us know at star@alliedpress.co.nz.